Did Jesus come only for the lost sheep of Israel? Let us continue with more proof that Muslims ignore the context of Jesus' statement in Matthew 15 to support their claim for the universal prophethood of their leader, Muhammad. 7 “I will come and heal him,” He told him. 8 “Lord,” the centurion replied, “I am not worthy to have You come under my roof. But only say the word, and my servant will be cured. 10 Hearing this, Jesus was amazed and said to those following Him, “I assure you: I have not found anyone in Israel with so great a faith! 11 I tell you that many will come from east and west, and recline at the table with Abraham, Isaac, and Jacob in the kingdom of heaven. 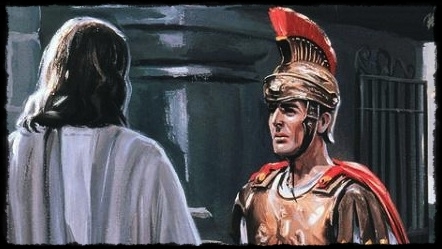 13 Then Jesus told the centurion, “Go. As you have believed, let it be done for you.” And his servant was cured that very moment. 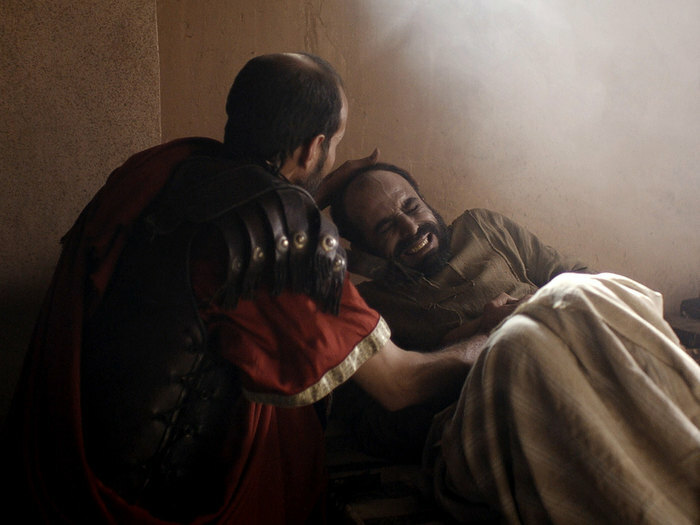 The man's declaration of faith that Jesus could heal his servant was not just surprising coming from a Gentile, but Jesus even calls it extraordinary faith. And with good reason. The man understood that Jesus' power was such that His Presence was not even required for the healing to take place. Somehow he knew that Jesus would not have to touch the man, or even be in the same room with him. The Roman knew that all Jesus had to do was speak the word, and his servant would be healed. Read those words again slowly: he knew that Jesus had only to speak a word, and his servant would be well again. Only One has that kind of power over disease, the very same One Who could walk on water and calm the storm. Again, simply by speaking it into stillness. "... is a clear proof of our Lord's divinity: for had he not been truly God, he would have rebuked, and not have commended this man's faith in him: who ascribed that power to him, which is peculiar to God..."
Note as well that Jesus was fully aware that the man was a Gentile and that He would be making Himself ritually unclean by entering his home, yet the Lord was untroubled by this. To make things even worse in the eyes of the legalistic Pharisees, the centurion was a Gentile who was also an officer in the military force that had been oppressing the Jewish nation for almost a century (and who would continue to do so for another 300 years). And yet Jesus had no qualms about coming to his aid. So why didn't Jesus tell this man, "I was sent only to the Lost Sheep of Israel?" As we have shown in our two previous posts, Jesus came for all mankind: to the Jew first, and then to the Gentile. But Jesus had a knack for turning what might have been ordinary events in His life into moments which would teach generations of His followers not just Who He was, but who we can be when we are around Him. And that was wonderfully demonstrated by the centurion who showed us humility, great love and compassion for others and, most importantly, God-honoring faith. But our lesson doesn't end there. Jesus announced quite clearly that many would come from outside of Israel, outside of the Lost Sheep, people from among the Gentiles who would join the Jewish patriarchs in heaven, while some from among the Jews would be cast out of the Kingdom because of their lack of faith. So does God play favorites and save only Jews? Absolutely not. He sent us Jesus to demonstrate that He came to save all who will believe in Him. What about you, dear reader? Do you believe that Jesus is Who He says He is? How Has the Bible Changed Through the Millennia?